The Aladdin Lamp brand Flame Spreader is also referred to as "generator" in older Aladdin Lamp literature. 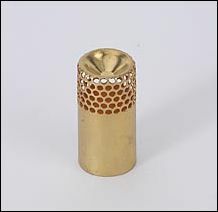 This thimble-shaped piece goes in the center of the unique Aladdin Lamp kerosene Model 32 burner for kerosene refrigerators, and is surrounded by the round Aladdin wick. Most Sibirs and a few older Dometics kerosene refrigerators use the Aladdin #32 burner. 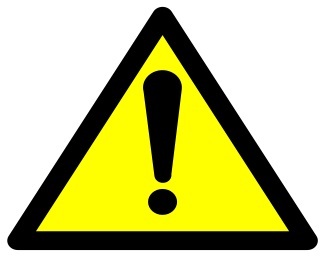 Please note that this Model 32 kerosene fridge burner is not interchangeable with Model 23 table lamps. High temperate rated glass for years of performance. Comes complete with a Model 32 cotton wick and wick trimmer/cleaner. Made of durable plastic, designed for many years of service. This quality cotton round wick is made by Aladdin UK/Hattersly England.